Three officials from the Balearic and Formentera public administrations —regional minister of employment, trade and industry Iago Negueruela, local trade secretary Alejandra Ferrer, and Balearic chief of employment, social economy and workplace health Isabel Castro— sat down this afternoon to tell Formentera about the plan to tackle employment insecurity in 2018. 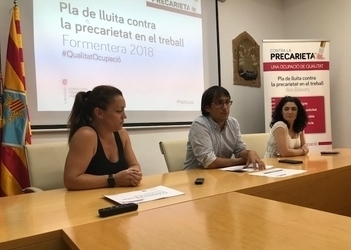 Negueruela explained that one feature of the plan, which this year is in its fourth iteration, calls for two inspectors exclusively for Formentera. The pair, who arrived on the island at the start of July and will remain through the end of August, will be responsible for overseeing roughly 80 inspections. According to Negueruela, 1,096 individuals have seen their workplace conditions improve in the last three years thanks to the plan. He nuanced his remarks by saying that the short-term nature of local jobs makes employment in the islands extremely precarious. The Balearic minister said that insecurity must be the focal point of any corrective strategy. For her part, secretary Ferrer trumpeted the success of past versions of the scheme, touting their ability to hamper unfair competition, guarantee employee rights and take aim at job insecurity. She also highlighted Formentera's historic participation in such efforts. With help from within the Council, the inspectors were able to find housing, which, in turn, made it possible to expand their patrols. Ferrer described the more expansive patrols as vital, “particularly since so many of Formentera's businesses open at eight in the evening”. “In the past, the inspectors came over on the ten a.m. ferry and left at six in the evening”, explained Ferrer, a fact which effectively shielded nighttime businesses from inspections. As Sant Ferran's “art market” turns ten, the Formentera Council's department of trade and office of culture and patrimony have put together a catalogue remembering ten years' worth of art in the street. The visual stroll down memory lane comes with twenty-four uniquely special looks at the island representing an equally diverse spectrum of art forms. The Sant Ferran market was born following the initiative of a small collective of plastic and visual artists moved by the prospect of sharing their art — amongst themselves, and with people in the street. The premise: to create a multidisciplinary space for lovers of creativity and culture. The catalogue is at once a nod to the market's past, and an invitation to rediscover a hub of exchange and dialogue between some of the island's most prominent artistic languages. The market's ten-year trajectory is proof not only of the initiative's staying power, but also the warm reception it has enjoyed among islanders and visitors. Past and present artists include Maria Teresa Matilla, Nuria Fortuny, Claudia Maccarini, Juan Escudero, Emilia Brussoni, Anna Ametller, Mar Ample, Sandra González, Raquel Caramazana Bocanegra, Julie Aubrun, Francisco Lucas, Elena Montesinos, Muntsabee, Fabiana Schulz, Iván Arguedas, César Ordás, Olga López, Maria Isabel Escandell, Gabriel Raventós, Juan González and Pablitopablo. The catalogue can be found at the stands of market vendors. They are there every day but Wednesday and Sunday. Two Formentera Council officials —administration chief Jaume Ferrer and Alejandra Ferrer, the local secretary of land, tourism and trade— sat down today with Eivissa-Formentera chamber of commerce president Juan Manuel Costa Escanellas to formalise a deal to unlock training and consulting services for the local business community. Under the agreement, the Council pledges €7,000 to fund training programmes between January and October 2018. Course content may include, though won't be limited to, languages (German, English, Italian and French among them), customer service, management and business administration strategies, accounting, window dressing, IT and security. Secretary Ferrer called the two entities' longstanding collaboration “vital to helping local businesses develop quality services and get the tools they need to sell islanders and tourists on local commerce”. This morning in Sant Francesc, CiF secretary of land, tourism and trade Alejandra Ferrer was joined by a group of designers including Elena Hurtado of Obi, Mathilde Rouanet of B7& Acho, Enric Majoral, and José Marcos Garzón of Ishvara, for a presentation of Formentera's eleventh Passarel·la de Moda. Organisers' pick of Sant Francesc to stage the morning presentation was no accident: the catchphrase chosen for this year's show is 'Orígens' and the Passarel·la (Catalán for “runway” or “catwalk”) débuted in Sant Francesc. The event is set to take place next Friday June 29 at 10.00pm. Kavra Formentera, Molly Mallone, Janne Bikinis, B7 & Acho, Elena Hurtado (Obi) & Lorenzo Pepe, Ishvara, Michelle Crocitto, Isvhara, Macramé & Tito Solari, Eva Cardona, Majoral. Models at the event will be sourced by Eivissa firm Deva Models. The departments of culture and tourism of the Formentera Council announce that next Tuesday, June 5, the island's cinema will host an early screening of Formentera Lady with director Pau Durà and leading actor José Sacristán. Proceeds from the special sneak preview, which was programmed for Tuesday to accommodate the demanding schedules of Durà and Sacristán, will benefit Save Posidonia Project. For the administration and for the island at large, Durà's gesture hasn't gone unnoticed. 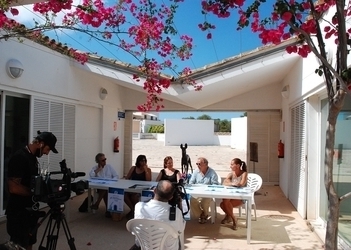 During shooting the filmmaker pledged local audiences would be among the first to get a chance to see Formentera Lady. Formentera Lady was shot between late March and mid April, 2017. Director/screenwriter Pau Durà's first film, the project took shape over two weeks at an array of local sites. Migjorn beach, legendary watering hole Fonda Pepe, la Mola lighthouse and the la Savina marina are among them, though portions of the story play out in Denia and Barcelona as well. José Sacristán as the film's lead, Samuel, is joined by a cast including Jordi Sánchez, Nora Navas and fresh face Sandro Ballesteros, who makes his big-screen début as Samuel's grandson Marc. Supporting roles are played by Ferran Rañé, Mireia Ros, Pepa Juan and more than a hundred formenterencs as extras. Samuel landed on the island smack dab in the seventies and never managed to leave. 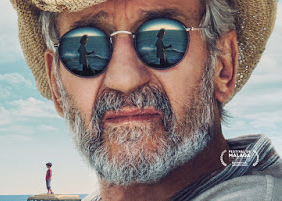 Living in a shack near the sea with no electricity, he spends his time playing banjo in a local bar, until one day he receives a visit from his daughter Anna and grandson Marc. When Anna is offered employment in France, she decides to take it, even if it means leaving her son with Samuel. After an initial rebuff from the ageing hippy, Anna insists, imploring her father to help her, if only just this once. Samuel, who is both fragile and excentric, resolves to rise to the occasion, and builds a relationship with his grandson that will stir more than a few ghosts from Samuel's past. In this twilight journey of discovery brimming with hope, not only the island itself, but its people and surroundings, too, are on full display.